No one can speak well, unless he thoroughly understands his subject. Yet as soon as you start to put your finger on it, it vaporizes. Oh believe us it is hot. It is actions over objects and transgression into areas where we the day after feel different. Good or bad, in pain or pleased. Studio Støk operates through actions, showing you that the artists are the historians of the human soul. We have taken it upon ourselves as a result of who we are, our job, our character. We expect nothing less from ourselves. Look over there, two drifters taking off to see the world, where is home anyway? The truth is out there, we want to believe. But how soon is now? Perhaps we will know when the fat lady sings. And when she closes her mouth, what are we left with? For how long did she even sing? 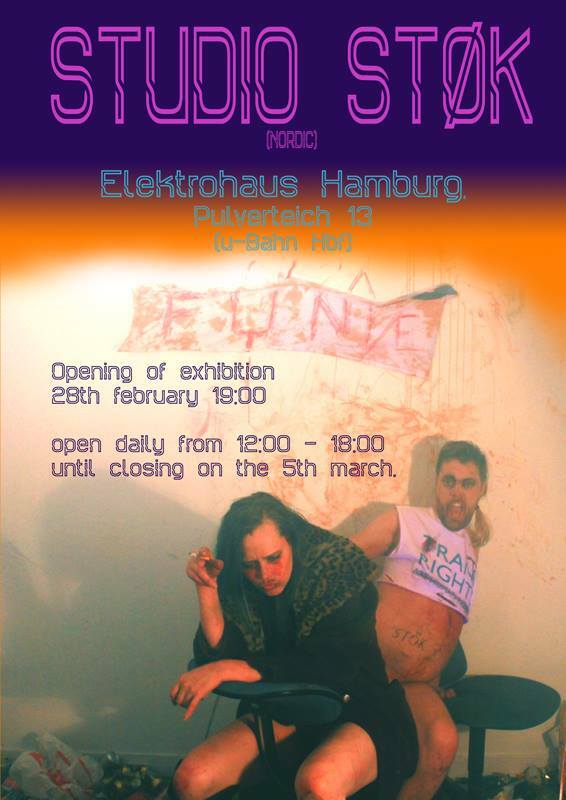 Open daily from 12:00 – 18:00 until the 5th of march.